e working life irrespective of the number of companies they change. It is a universal account number (UAN) which enables in linking of multiple EPF accounts of a member. 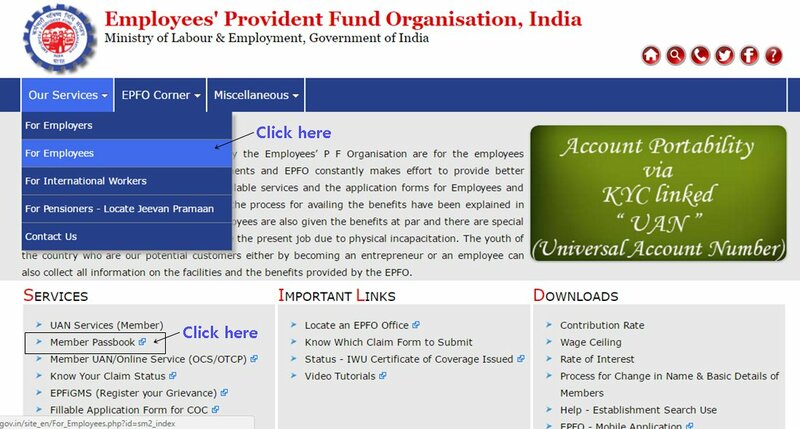 Employees need to login the member portal by visiting the EPFO website (unifiedportalmem.epfindia.gov.in/memberinterface/). You need to enter your 12 digit Activated UAN number and the password to view your account details. If you have not activated your UAN, you can do it by clicking on the tab below. Once you have entered the right credentials, it takes four days to activate your UAN. 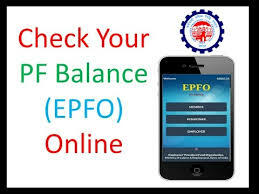 Once you have entered into the portal, you can find all kind of online services that are available on the EPFO website. From there you can track your queries related to claim status, transferring request, which is required in case your current employer has created another UAN number to track your PF account. You can see various tabs present on the dark green ribbon above. Clicking on the ‘view’ tab will take you to visit your profile, service history, UAN card and your passbook address. This passbook address is a separate website link where you can view your PF account. To view your PF passbook, you need to visit epfindia.gov.in website. This is a different website where you can view various other details related to EPFO. You need to go to the ‘our service’ tab and under our service tab, you need to click on the ‘for employees’ link. To view the EPF contributions done by your employer every month you need to then click on the ‘member passbook’ link. Once you click on the member passbook link, you will be sent to a different tab, where you need to again enter your activated UAN and same EPFO passwords which you used for the EPFO member login portal. Once you have entered your credentials, you can visit your EPF passbook and view your PF contribution made by the company.